We’re now well into the ARE 5.0 transition and it’s time to look at what we’ve learned. If you’re new to the 5.0 exams the below tips will help you know what to expect when you sit down at the testing center for your first exam. We use our ARE 5.0 study materials to teach these methods, so check those out if you haven’t already. If you spend any amount of time looking around the web, you’ll see one of the biggest complaints about ARE 5.0 is that candidates are running out of time. In 4.0 it was common to get through all of the multiple choice questions and be able to go back and review marked questions. That isn’t the case any more. In 5.0, candidates must be very conscious about how they’re spending their time, and which questions they’re marking for review. Case study questions where the location of the information isn’t obvious. Don’t spend too much time looking for a single answer. If you’re not sure where something is, mark it and come back to it. Some candidates have suggested skipping the entire case study section, this is NOT a viable strategy and it will cause you to fail. The ARE 5.0 transition introduces three new components to the exams: hot spot (point and click), drag-and-place, and case studies. Make sure to click on the links and watch the videos to familiarize yourself with them. When you get to the case studies at the end of your exam, you’re going to get frustrated so be prepared for it. We agree that 5.0 tests candidates in a manner that is more similar to how Architects practice. The case studies are a huge step in that direction, but the case studies have a similar problem to the 4.0 vignettes – both attempt to replicate how Architects practice with limiting software and hardware. Let us explain. 4.0 attempted to replicate CAD with NCARB software that’s really nothing like what anyone uses in practice. 5.0 plops an Architect’s set of drawings, Zoning Code, Building Code, and References in a little tiny window on the test centers tiny monitor. 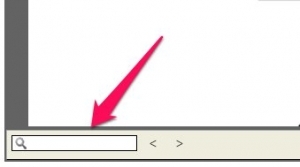 To see information you need to toggle between all of the documents, zoom in, zoom out, scroll up, scroll down, scroll left, and scroll right. In practice you’d probably have the drawings printed out or on a separate monitor. Furthermore, the testing center computers have reportedly been slow to switch between documents. Don’t sweat it, just be prepared and don’t let it affect your test taking. For anyone who hasn’t been a part of the ARE 5.0 transition, they’re bound to think that ARE 5.0 is easier than ARE 4.0 based simply on the fact that ARE 5.0 requires one less exam for candidates to get their license. Well, I’m here to tell you that’s a myth (at least the easier part). What removing one exam from the journey to licensure does is make it so that the exams are more broad. That means candidates need to understand a little more for each exam. But that doesn’t necessarily mean that 5.0 is harder, it’s just different. You needed to know your tools in 4.0 too, but with the ARE 5.0 transition, the tools are a little different. Case study resources: When you’re searching through the huge text docs on the case studies use the search tool located in the bottom left to search for key terms. Drag-and-place: A few candidates have wasted a lot of time because they didn’t realize you can rotate items in the drag and place questions by right clicking and typing in the angle of rotation. 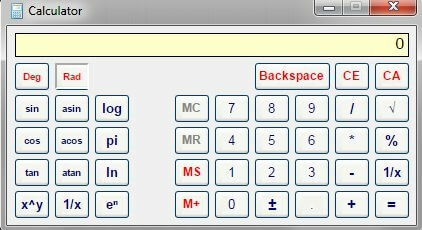 The calculator: Know what every button on the below calculator does and when to use it. Don’t mistakenly have radians checked when you need degrees. Do you know what asin is and when to use it? Do you know exactly where to go to find the square root of something? 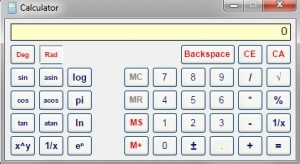 Knowing the calculator can help you save precious time. Break time: Now you get to choose your own break in the top right of your exam so use it strategically. Notice when you’re getting mentally fatigued and use it. How are you doing with the ARE 5.0 transition? Let us know in the comments below.